AFC - 08/11/07 Dogs From the Project "Socialize to Find a Home"
08/11/07 Five Dogs From the Project "Socialize to Find a Home"
Animal Friends is conducting an action to invite people interested in adopting five dogs from the project "Socialize to Find a Home"
Saturday, August 11, 2007, at 11 A.M., on the corner of the Varsavska ulica and Petar Preradovic Square, Animal Friends is organizing a thematic informative stall related to project "Socialize to Find a Home." 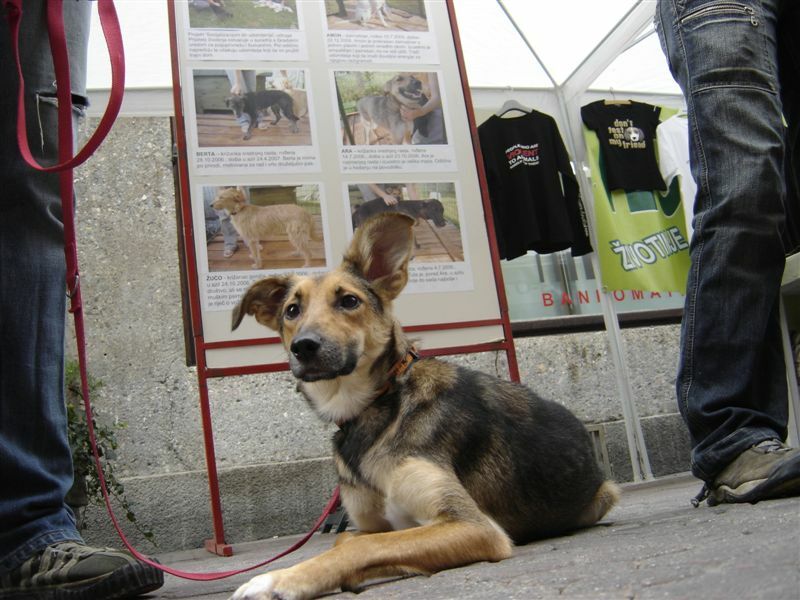 Within the stall there will be an introduction of a few dogs participating in the project, showing what they have learned so far. 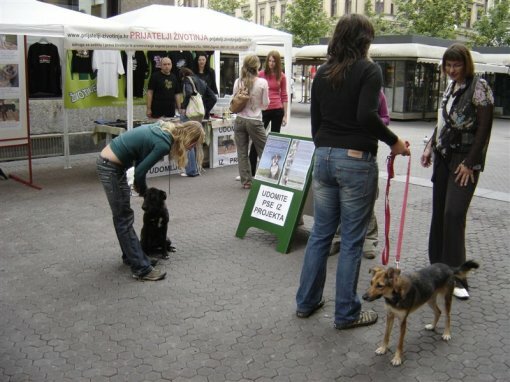 The dog trainer Barbara Luter and the assistant trainer Jelena Seric will also be present at the stall. Project "Socialize to Find a Home," which is realized by Animal Friends in cooperation with the City Office of Agriculture and Forestry, is going on for two months, three months scheduled, and so far the dogs have learned to walk properly on the leash, and across the town as well as riding in the car, and have comprehended drills like "Sit" and "Lay down." The dogs are making great progress, which is a good indicator that, with their comprehended knowledge, they will draw attention to potential adopters who will provide them permanent home. TULA – Labrador mix breed, born on July 4, 2006; in an animal shelter since October 3, 2006. Tula, along with Ara, is in the shelter ever since she was puppy, but two of them are making greatest and fastest progress of all. 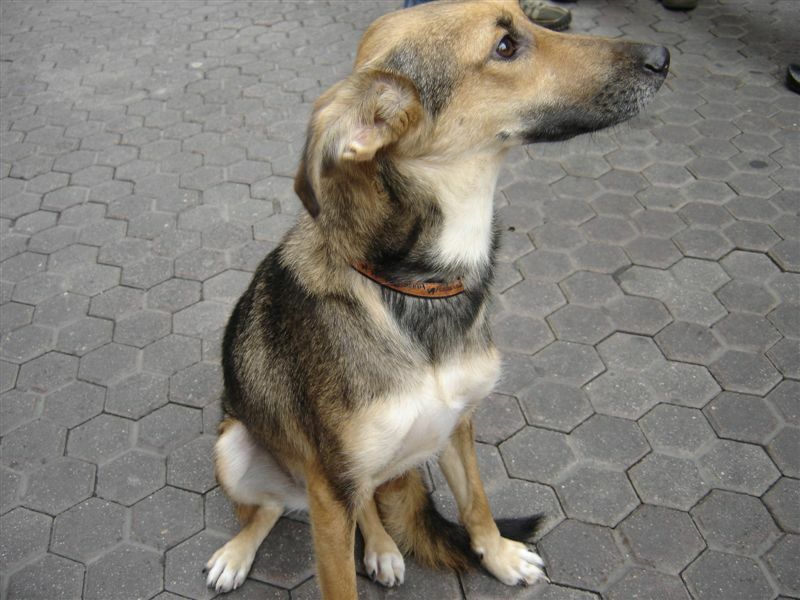 ARA – middle sized Collie mix breed, born on July 14, 2006; in a shelter since October 23, 2006. She is the smallest one of all the dogs in the shelter and is extremely cuddly. 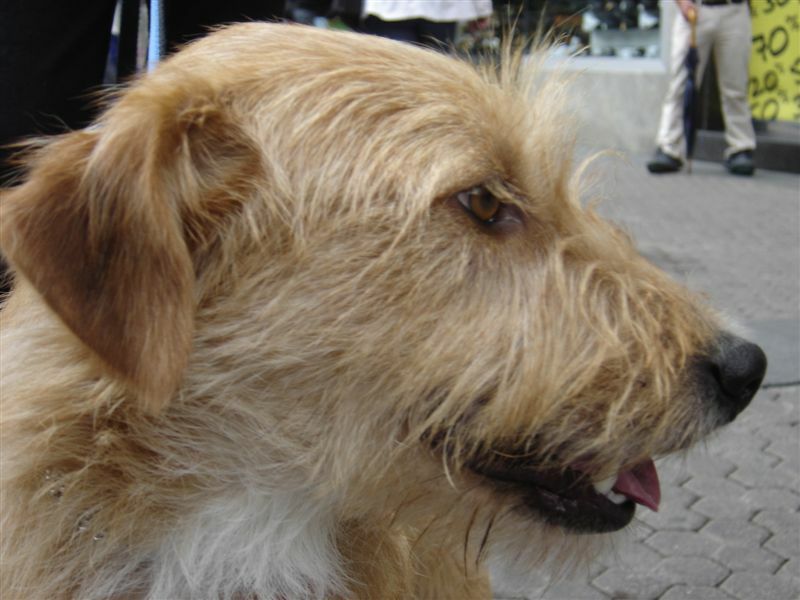 BERTA – middle sized Terrier mix breed, born on October 28, 2006; in a shelter since April 24, 2007. Berta is calm-natured, motivated to work and companionable. ZUCO - Hound mix breed, born on February 27, 2006; in a shelter since October 24, 2006. Zuco is adorable, very friendly with people but sometimes can be too pushy with other male dogs. When it comes to riding in the car, Zuco is an "A" student. AMON – Dalmatian, born on July 15, 2005; in a shelter since December 22, 2006. Amon is a beautiful dog with one eye blue and the other brown. Extremely nice and clever, but he doesn't like trainings. He's looking for an adopter with enough energy for his jolliness. Interested informative stoll visitors will have an opportunity to see a few dogs and their progress in the socialization project, and also to sign in for their adoption. 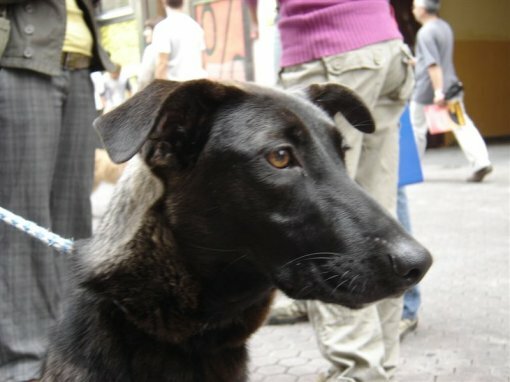 One of the dogs already has an adopter waiting for him and will be present at the event. 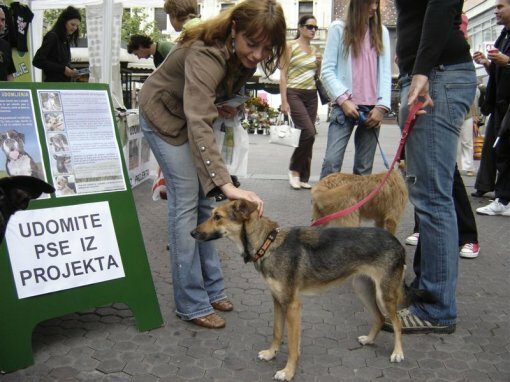 Animal Friends calls for all the people who might be interested in finding good adopters for the dogs in the socialization project, and also appeal to people not to buy animals but to adopt them, pointing out that only in the Shelter for Abandoned Animals in Dumovac over 130 dogs are waiting to become part of the family.